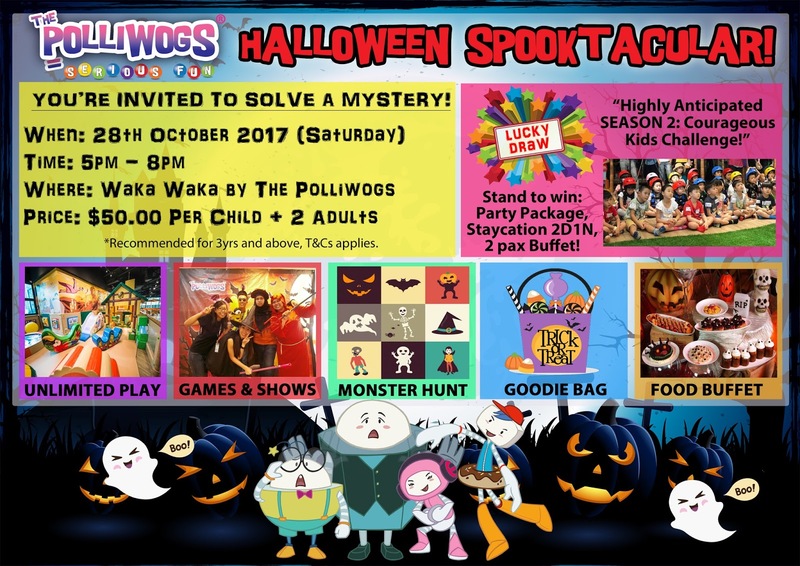 If you are still wondering where to bring your kiddo for some fun during Halloween, perhaps you should consider a visit to Waka Waka by The Polliwogs on 28th October 2017 for their “Courageous Kids Challenge: Halloween Spooktacular”! 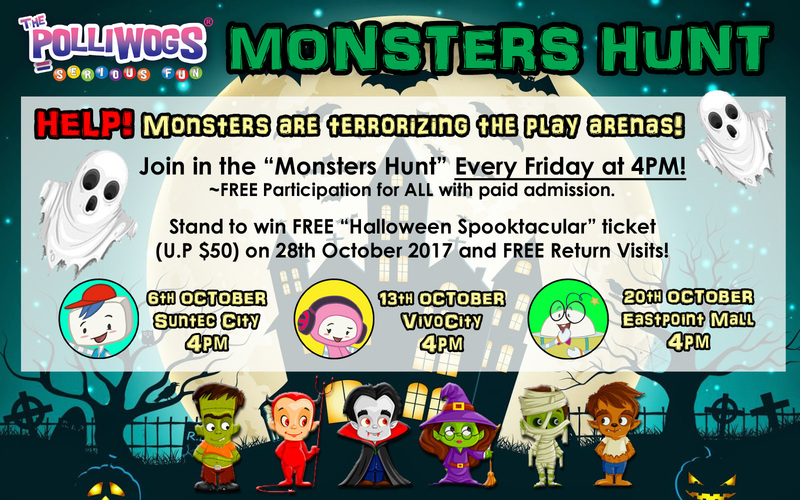 For $50 per child (2 accompanying adults enter free), you get to enjoy the specially curated fun and games from 5pm – 8pm, have buffet food spread, get to enjoy unlimited playtime + free Adventure Bundle worth $22 (you can get in early), and bring home a Goodie bag worth $28 as well! I calculated, it’s totally worth it! 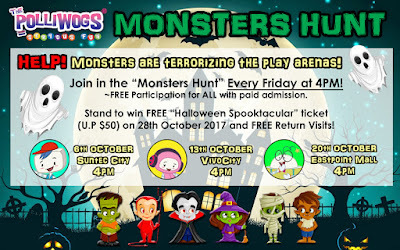 Oh wait, there are also great prizes to be won too! Check out https://thepolliwogs.com/courageous-kids-challenge-2017-halloween-spooktacular/ for more information on the event!